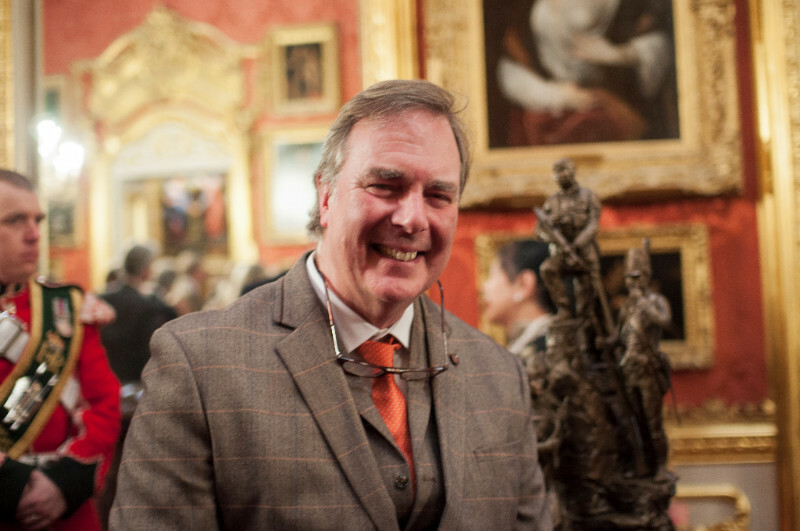 What an unbelievably exciting month March 2018 has been – placing Andrew and his David Bowie sculpture on the world stage. News of the unveiling was seen on TV as far away as New Zealand, Australia, Canada and the USA (not to mention the Times of India)! 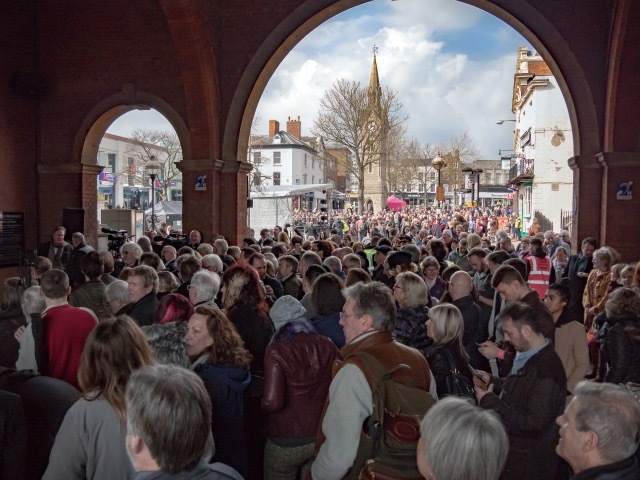 Just before the unveiling of The Bowie Statue, over 3,000 visitors made the trip to be a part of this very special occasion. 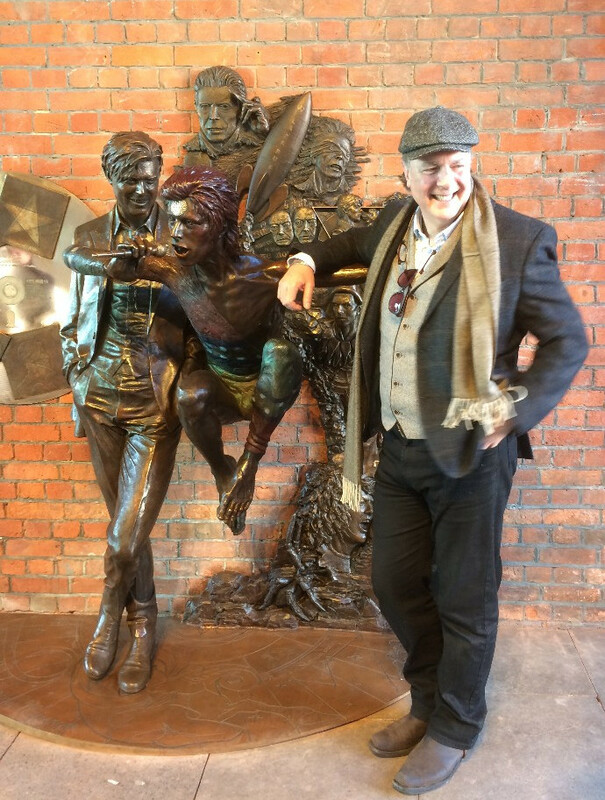 Sunday 25th March 2018 at 2pm in Aylesbury, Bucks, England, the David Bowie Sculpture by Andrew Sinclair MRBS. Unveiling with Steve Hogarth of Marrillion, Howard Jones and Rob Stringer of Sony Records. 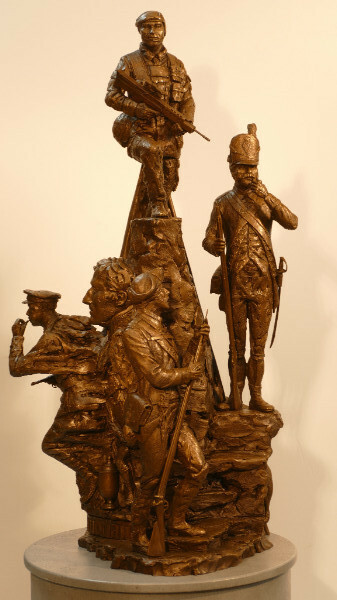 Tuesday 6th March – The Unveiling of the DWR maquette at Apsley House, London. 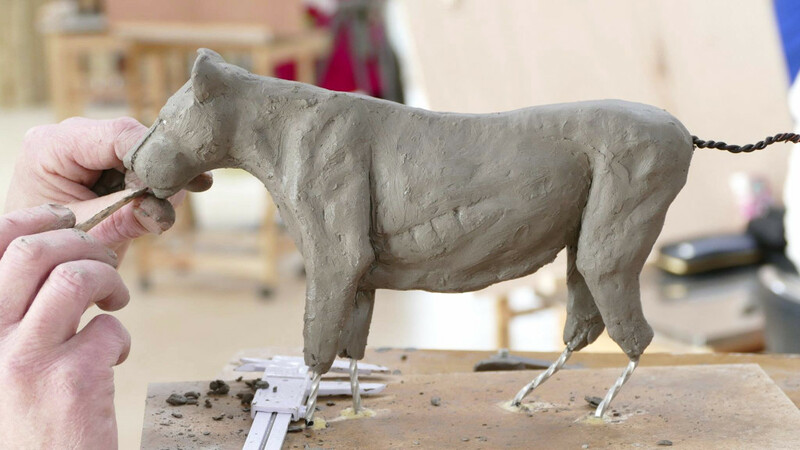 We are now running our workshops in the new school. 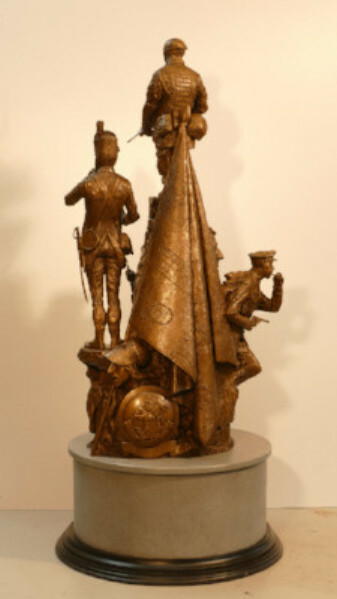 This specially designed building is full of light and space and with unique sculptures on display as well as a wide range of reference books to peruse, this makes for a truly inspirational learning environment for our students. 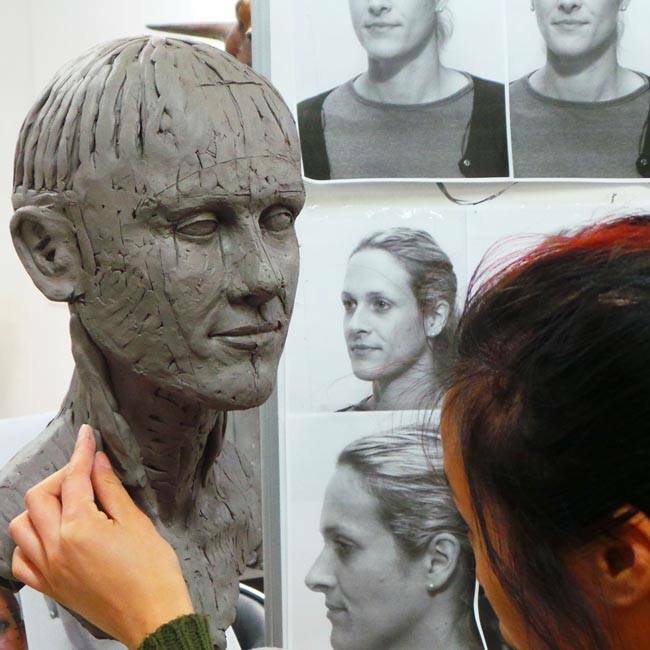 With all the resources provided on this workshop, you will gain the skills and techniques you need to create realistic portrait sculptures. 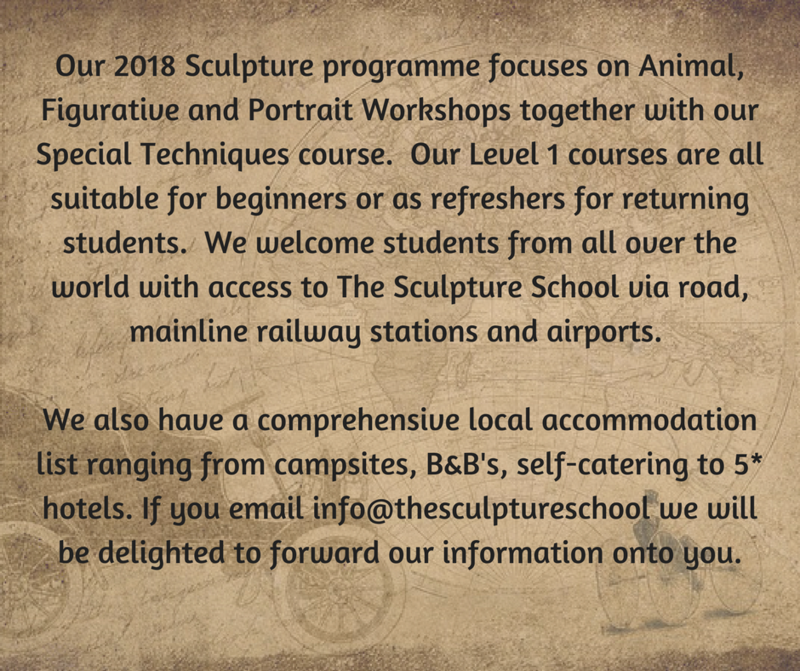 Once this workshop has been completed students can progress onto our Level 2 Portrait Sculpture Workshop. 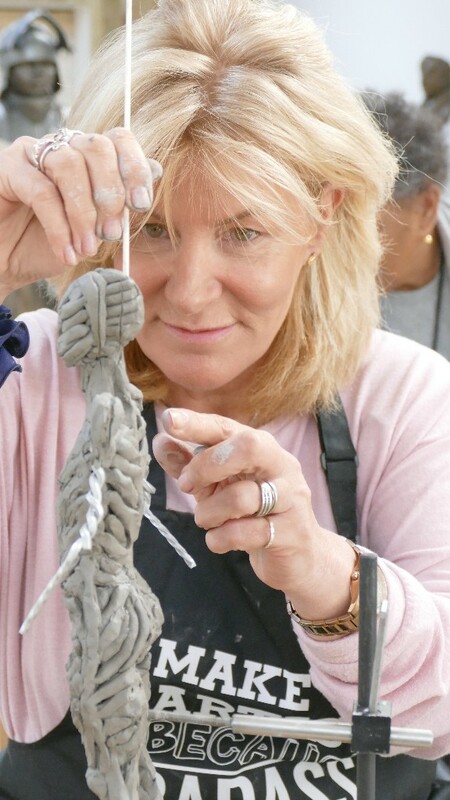 Here you will learn how to measure, how facial anatomy changes with expression, and how to create the subtle clay strokes that make all the difference to your portrait sculptures. 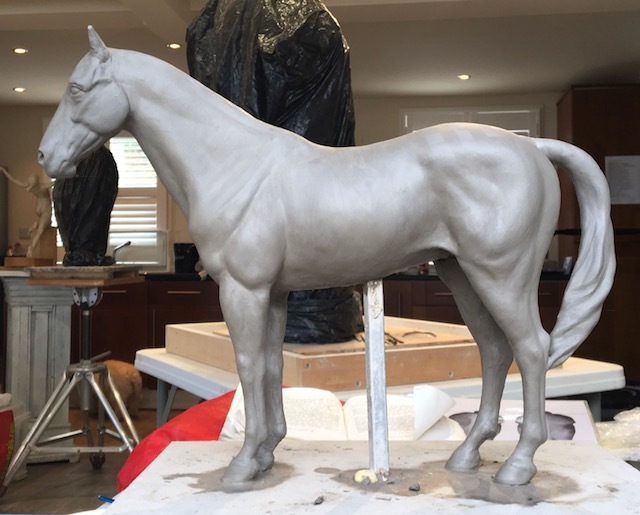 Here is a stunning horse sculpture completed by one of our students after our last Animal Sculpture workshop in Feb18 – “It was really helpful to work so precisely, and I will now be able to use this horse as reference for future, more active horses. 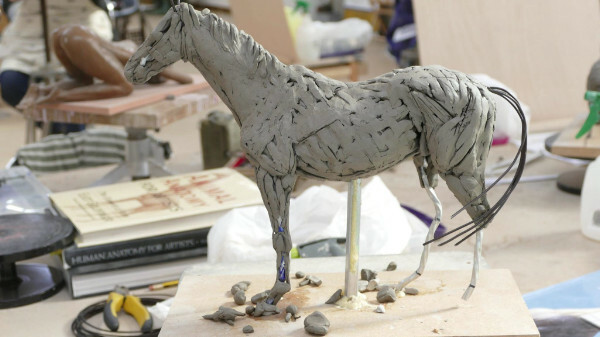 A comprehensive introduction to our unique teaching of contemporary realist sculpture here at The Sculpture School. 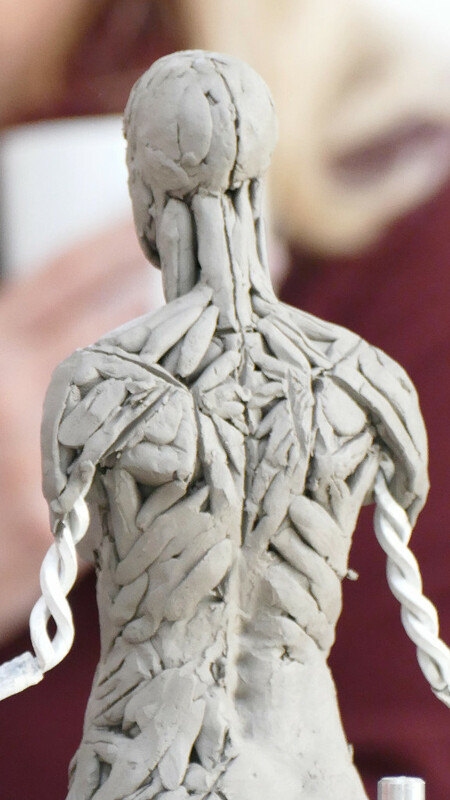 Over the four days you will be using the Sinclair Method to learn about Dynamic Curves, the application of clay to the armature using the Rapid Sketch Technique, the importance of measurement, anatomical detailing as you bulid up the figure and which sculpture tools to use at each stage. 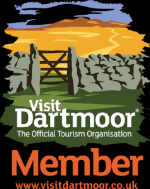 As with all our workshops, all the materials and tuition are included with a daily light lunch and refreshments served in our new refectory. 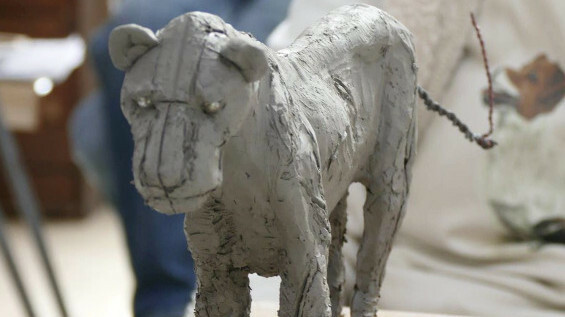 If you have already taken our Level 1 Figurative Sculpture Workshop then this Level 2 Workshop is for you. 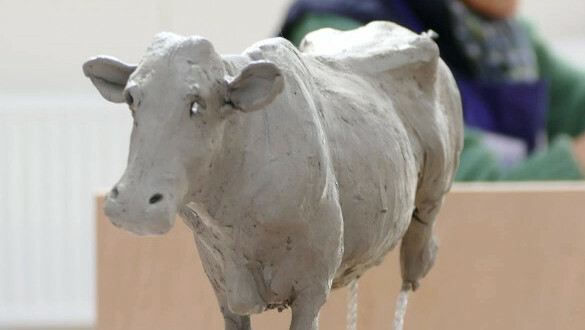 realistic sculptures to a professional level. 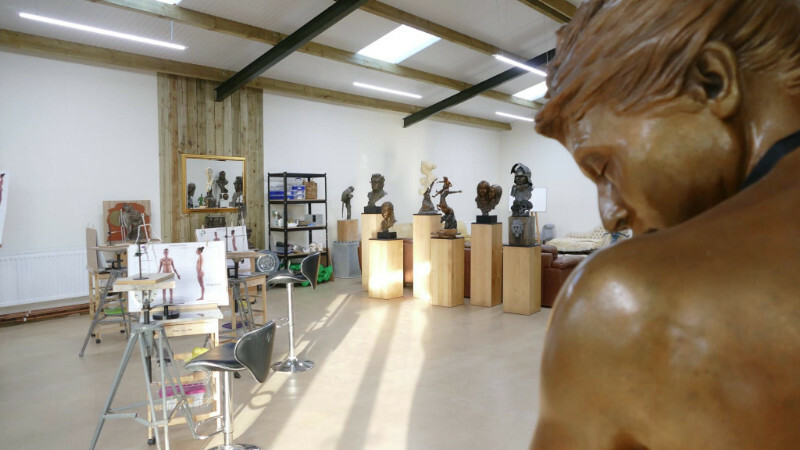 If you have already studied with us or would like a place to chat with fellow sculptors old and new – please join our community – we welcome your participation and seeing your latest works.